The club amenities consist of six championship 18-hole golf courses, 34 tennis courts, five pools (two indoor), four dining clubhouses and an impressive fitness and wellness center with spa services. All golf courses are covered under one membership and all are just a golf cart ride away. 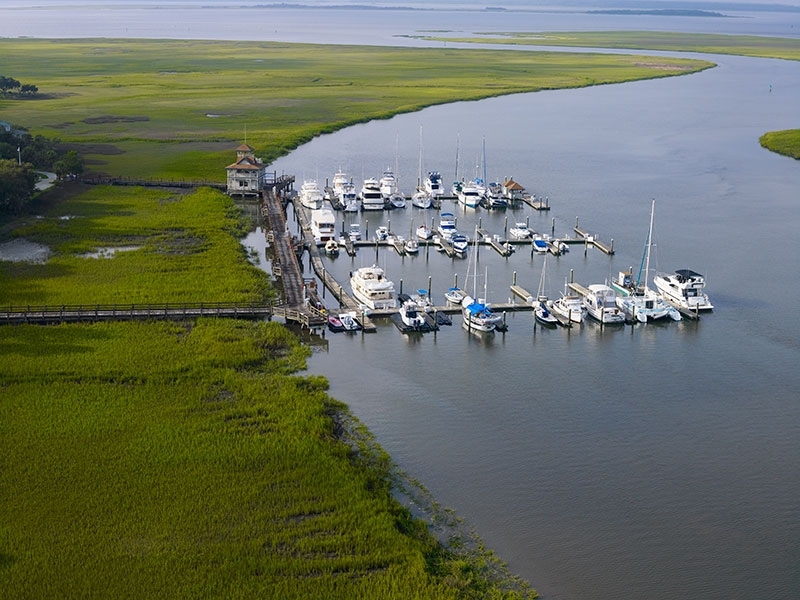 Delegal Creek Marina offers kayak storage and rental and the kayak club meets regularly. In season BBQ’s with entertainment are held at both the Delegal Marina and Landings Harbour Marina. Lots range from patio to full-size and estate lots, offering golf, lagoon, river, wooded and marsh views. 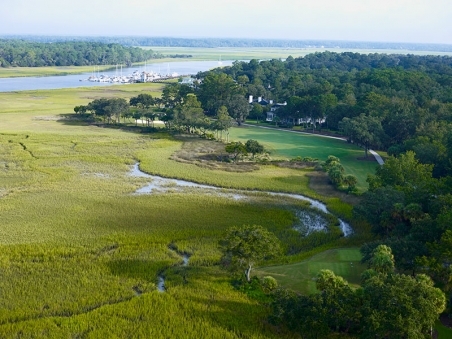 Lots at The Landings on Skidaway Island range in price from $70,000 to $400,000. For details and rental information, see the real estate section below. Members can play on six championship golf courses, embark on maritime adventures from one of two marinas, play a game of tennis on one of the 34 tennis courts or simply relax and enjoy the view. With over 100 social clubs, meeting neighbors with similar interests and making new friends is easy. 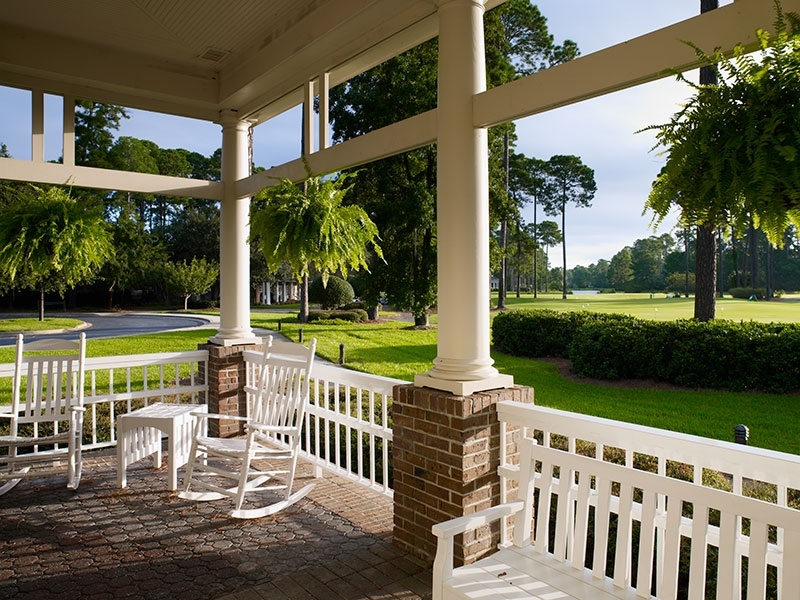 The Landings on Skidaway Island is 18 miles from the Savannah/Hilton Head International Airport and is easily accessible from the heart of historic Savannah. Skidaway Island is 12 miles southeast of the city and is bounded by the Wilmington River, the Intracoastal Waterway and Romerly Marsh. Savannah features three major hospitals providing general, specialized and regional trauma care. Two of them lie within seven miles of The Landings. Savannah is a walking city with a range of attractions including River Street and City Market, with their boutiques and specialty shops. The Oglethorpe and Savannah malls are also at hand, offering a combined total of more than 200 stores. The city is also home to Paula Deen’s famous “Lady and Sons” restaurant. Area cultural happenings include a number of community theater groups, the Savannah On-Stage International Arts Festival, SCAD Film Festival and Savannah Music Festival, the Telfair Museum of Art and a host of other cultural organizations. Educational opportunities abound in public and private schools as well as two universities and five colleges. Among Savannah’s 200 festivals are the month-long Savannah Music Festival in the Spring and the Fall’s Savannah Film Festival–one of many events and facilities created or enhanced by the famed Savannah College of Art and Design. Enjoy staying in a private Landings home, one round of golf per person or a guided scenic boat ride for two, and a personalized real estate and amenities tour of this private island community. Stay an additional day and play and additional round of golf per person or just spend the time exploring all that The Landings has to offer! Offer and accommodations are limited, and some restrictions may apply.